C. basilica of Michigan Flora. Presumably late successional fields and fencerows; our few specimens lack habitat data. The specimen noted from Houghton Co. was annotated as Crataegus basilica by E.J. Palmer, but is unusual, and may be a hybrid of unclear parentage. MICHIGAN FLORA ONLINE. A. A. Reznicek, E. G. Voss, & B. S. Walters. February 2011. University of Michigan. Web. 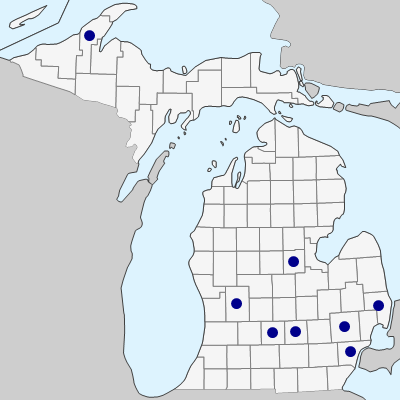 April 21, 2019. https://michiganflora.net/species.aspx?id=2433.